Northern Ireland Environment Link, with the support of the Heritage Lottery Fund Catalyst Umbrella Programme, held an event on 1 May 2015 focusing on opportunities for funding environmental projects in the 2014-2020 EU funding period. Funding streams discussed included INTERREG VA, VB and VC, the LIFE programme and Horizon 2020. 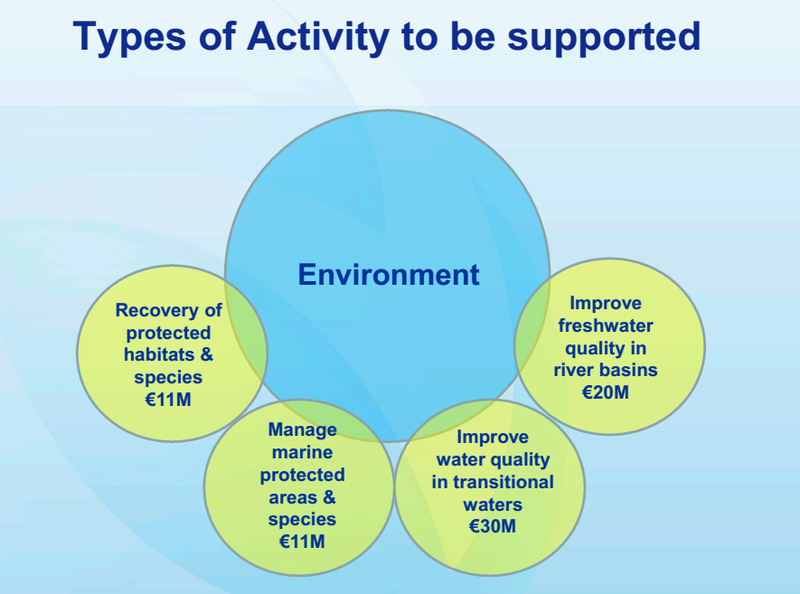 Lorraine McCourt from the Special EU Programmes Body (SEUPB) highlighted the environmental priorities within INTERREG VA – protecting and restoring biodiversity; investment in the water sector; and low carbon sustainable transport. Declan McGarrigle from SEUPB discussed the environmental measures within INTERREG VB and VC including those relating to a low carbon economy and environmental and resource efficiency. Caroline Barry from the Department of Environment (a Northern Ireland Contact Point) discussed the environment measure within Horizon 2020, the European programme for research and innovation which includes Societal Challenge 5 covering the themes of climate action, resource efficiency and raw materials. Caroline highlighted that dealing with climate change is a cross cutting priority in Horizon 2020, accounting for 35% of the overall budget across the programme. 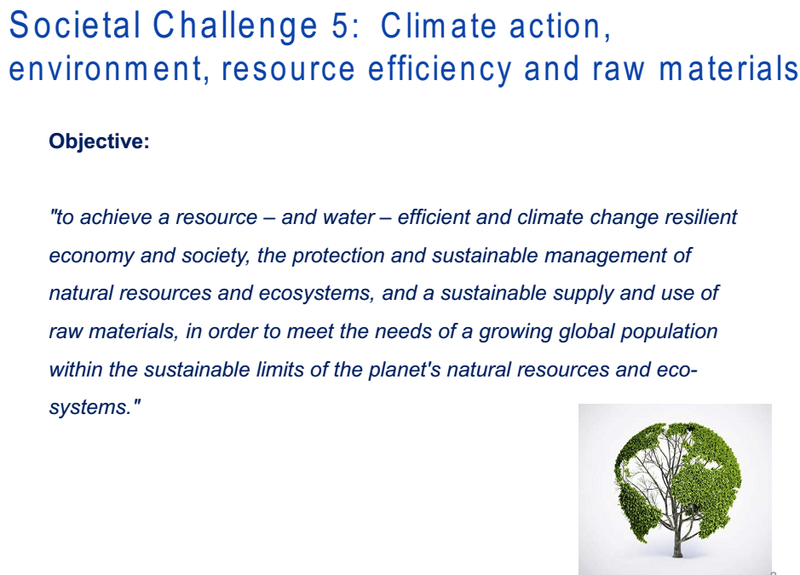 Industry 2020 in the Circular Economy (systemic eco-innovation and water topics). Nature-Based Solutions for sustainable cities and territorial resistance. Cultural Heritage for Sustainable Growth.